Free winter bird walks offered at Sitka National Historical Park | Get Out, Sitka! Are you interested in viewing, identifying and learning about Sitka’s winter bird residents, or do you need a refresher before participating in the Christmas Bird Count in January? If so, you are in luck! 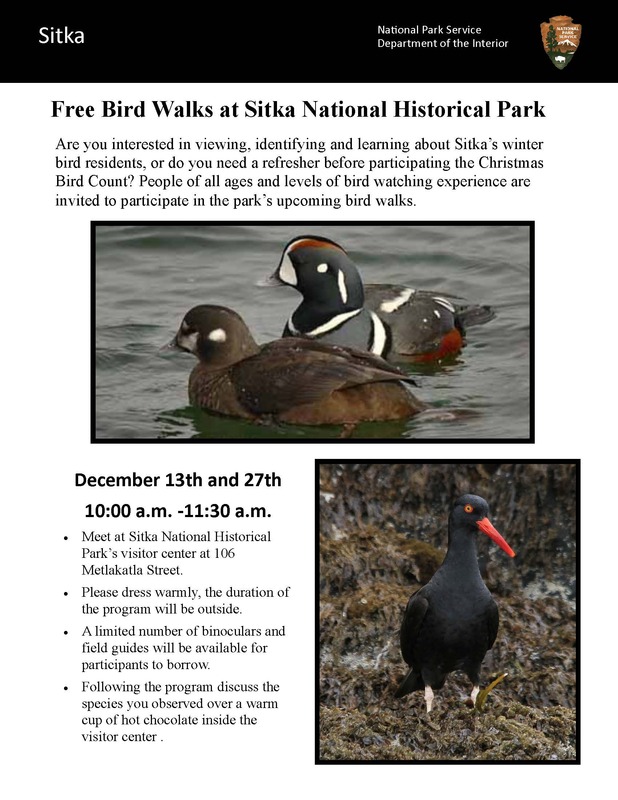 People of all ages and levels of bird-watching experience are invited to participate in free winter bird walks from 10-11:30 a.m. on Saturdays, Dec. 13 and Dec. 27, at Sitka National Historical Park. Participants will meet at the visitor center and then explore the park viewing birds throughout the park’s various ecosystems. At the conclusion of the walk, enjoy a warm cup of hot chocolate inside the visitor center and discuss the bird species you saw that morning. Interested parties should dress warmly and be prepared to spend an hour and a half outside in variable weather conditions. Participants who have binoculars are encouraged to bring them. A limited number of binoculars and field guides will be available for participants to borrow during the event. For more information, please contact Ryan Carpenter at (907) 747-0121 or at ryan_p_carpenter@nps.gov. About the National Park Service. More than 20,000 National Park Service employees care for America’s 401 national parks and work with communities across the nation to help preserve local history and create close-to-home recreational opportunities. Learn more about Sitka National Historical Park at http://www.nps.gov/sitk or visit the Facebook page at https://www.facebook.com/SitkaNationalHistoricalPark. 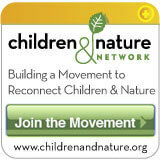 This entry was posted in Kids and nature, Outdoor events, Outdoor programs and tagged bird-watching, Christmas Bird Count, discovery and exploration, education, encouragement, fresh air, get more kids outdoors, Get Out Sitka!, Have you been outdoors today?, laska, Park Prescriptions, Ryan Carpenter, Sitka National Historical Park, Sitka!, totem trails, trails, Walk Sitka., winter bird walks. Bookmark the permalink. Pingback: Sitka to host its local Christmas Bird Count event on Jan. 4 | Get Out, Sitka!